The big day has finally arrived! The first day of Etsy Christmas In July 2017! The Christmas In July team leaders have spent the past year working hard behind the scenes for the Christmas In July 2017 event! We have many fun opportunities for you to be involved! Here is the tentative blog schedule where you can join us each day to see what is happening! 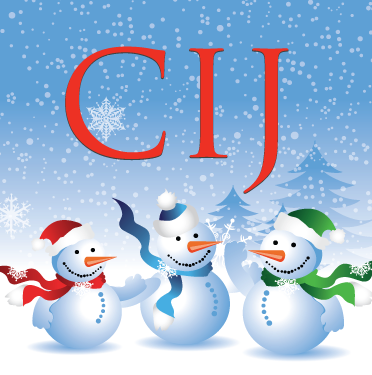 Please see the CIJ forum threads because there are still opportunities for you to become active in the 2017 event! Due to the overwhelming response we had to our #CIJPopUpMarket we are going to have 4 this year! Want a sneak peek of one of the Christmas Inspired articles by Guest Blog Contributor Judith of FabricArts? Her theme is Christmas Decor and one of the items she is going to feature is from Patricia of TheOldBarnDoor! A big thank you to Judith! We are ready with social media for #EtsyCIJ 2017! We are ready to celebrate #EtsyCIJ 2017! Please check out the blog every day to celebrate with us! This entry was posted in Christmas In July 2017 - #EtsyCIJ and tagged #EtsyCIJ 2017, 2017, Christmas in July, CIJ Team, Etsy, Etsy Christmas In July, etsycij. Bookmark the permalink.